"We have taken a fundamental step to take better care of Chile and the planet. Today we are more prepared to leave a better planet to our children, grandchildren and the generations to come," he tweeted Wednesday. Erik Solheim, the head of the United Nations Environment Program, also offered congratulations to the South American country. He called the move a "bold step" ahead of World Environment Day this June 5, which has the theme "Beat Plastic Pollution." The bag ban is not as extreme as it may sound. The Environment Ministry's website, chaobolsasplasticas.cl, shows that Congress members have worked on this initiative for about a decade. 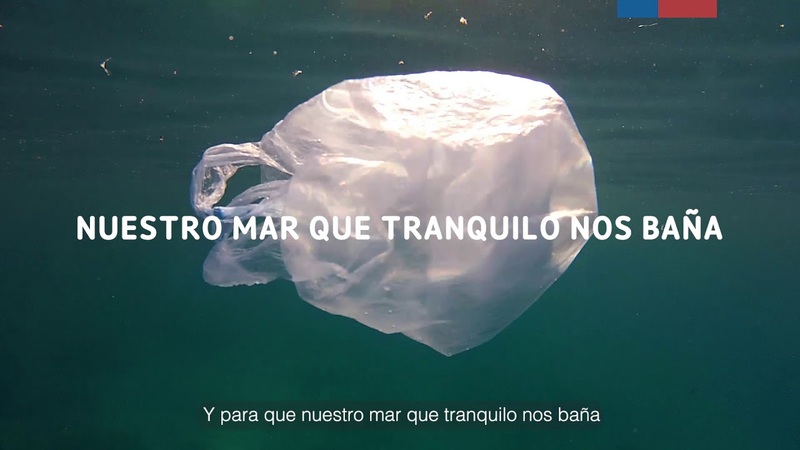 The vast majority (about 95 percent) of surveyed Chileans across all age groups approved of the plastic bag ban. There are also 78 communes in the country that already have measures regulating the usage of plastic bags. "We will ... become the first country in the Americas to implement a law of this type and we call on other countries to assume this responsibility," Bachelet said of the initiative at the 72nd Session of the United Nations General Assembly in New York. Elsewhere around the globe, Rwanda and Kenya have enforced complete bans on plastic bags. In 2002, Bangladesh became the world's first country to ban the items. <span style="display:block;position:relative;padding-top:56.25%;" class="rm-shortcode" data-rm-shortcode-id="PZAK8Q1555992868"><iframe lazy-loadable="true" src="https://www.youtube.com/embed/I6Z5JpsItEs?rel=0?enablejsapi=1" width="100%" height="auto" frameborder="0" scrolling="no" style="position:absolute;top:0;left:0;width:100%;height:100%;"></iframe></span><p>Mayer said his department was working with the Riverside County Sheriff and the District Attorney's office to build an animal cruelty case against the woman.<br></p><p>"There is no excuse for dumping puppies," Mayer said. "Especially in today's age when we or other shelters would be willing to get these animals to foster parents or rescue partners. This was a shameful act. "</p><p>The puppies, which are believed to be terrier mixes, were initially cared for by the department's veterinary team. Southern California group <a href="http://meoowzresq.org/" target="_blank">MeoowzResQ</a>, which normally specializes in cat and kitten fostering, has agreed to take over their treatment. The puppies need to be bottle fed and closely watched for a few weeks, <a href="https://www.newsweek.com/woman-caught-video-tossing-plastic-bag-full-3-day-old-puppies-near-coachella-1402289" target="_blank">Newsweek reported</a>.</p><p>The department emphasized that there is never any need to abandon puppies, Newsweek reported. There are shelters open on weekdays in the county which have re-homed around 5,000 dogs between 2017 and 2018, according to department data.</p><p>It is not yet known how severe a penalty the woman will face for her actions. California animal cruelty laws allow for both misdemeanor and felony charges.</p>According to the <a href="https://www.humanesociety.org/resources/pets-numbers" target="_blank">best estimates</a> of the <a href="https://www.humanesociety.org/" target="_blank">Humane Society of the United States</a>, six to eight million cats and dogs enter shelters in the U.S. each year. Around four million are adopted from shelters annually, and sadly three million are euthanized. Of those euthanized, around 2.4 million were healthy and could have been treated and adopted.